Commissions are available. To reserve the next available start date for your house a deposit is required. You may use layaway on your commission. Then to pick your design you can definitely look at past work. And you can make any changes you want. The way it works is that you place a deposit of 10% to hold your start date. It takes 2-4 weeks to build. Your date is not reserved until you pay the deposit. You can make payments or pay all at once. A lot of people make payments all the way to the start date because they want the house shipped right away when it's done. How much each payment is and how often is up to you. I just ask that you let me know your plan so I can write it down and keep everything and everyone organized. 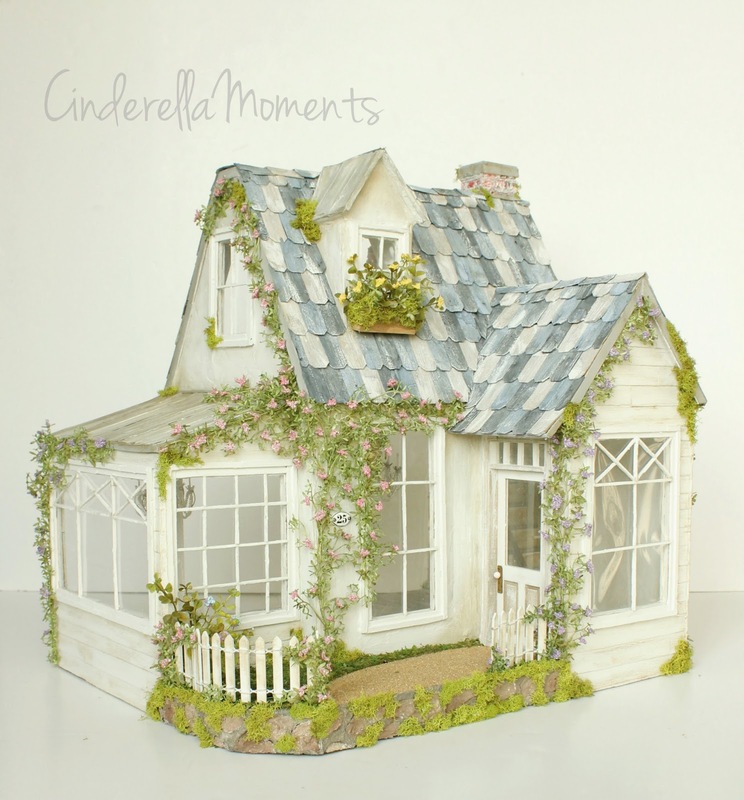 The houses are not furnished, but you can make special requests to add furniture or curtains. 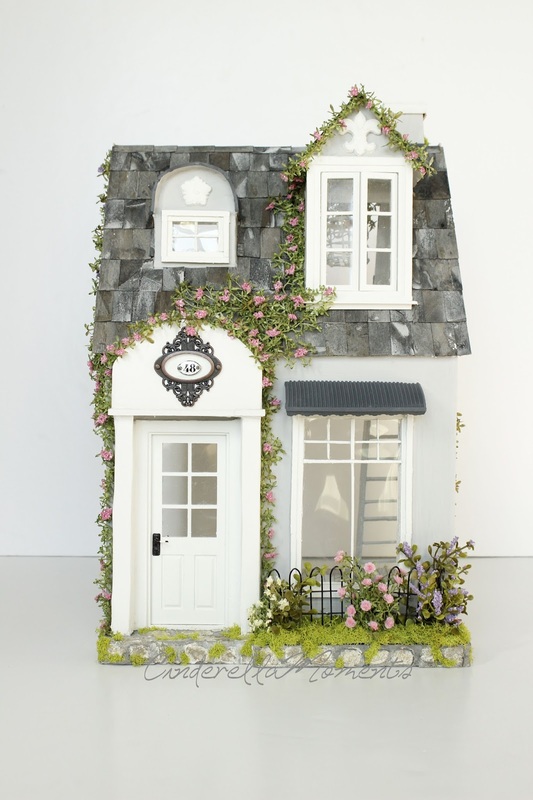 The houses come with chandeliers(battery operated unless you add a plug in system contact me for added cost). Also a working fireplace is included. 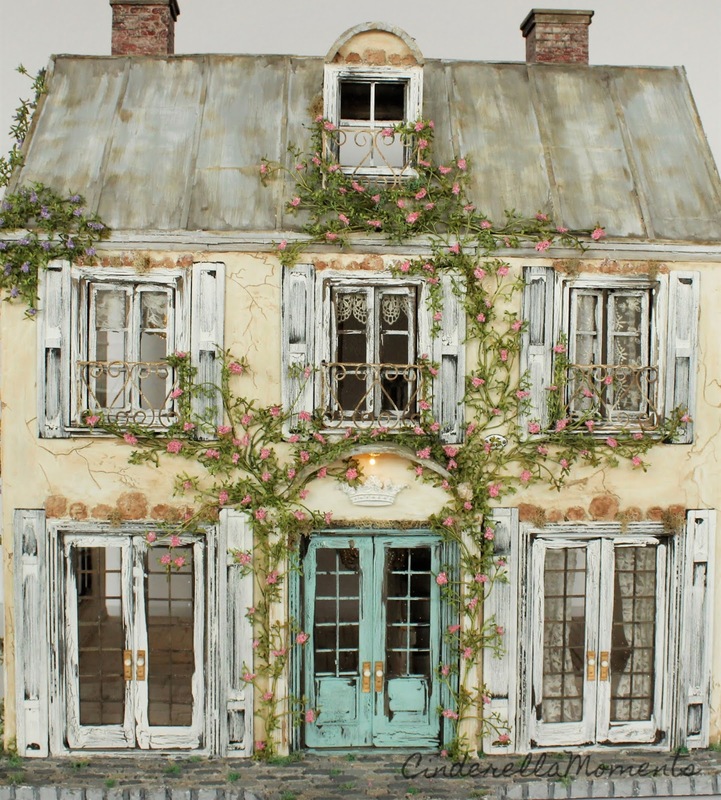 The house "Somewhere in France" unfurnished is $2900 plus $250 shipping. The lights and fire are all battery operated. It takes 4 weeks to build. is $1375 + about $90 shipping. This takes 2 weeks to build. is $799 + $70 shipping. 1 week to build. 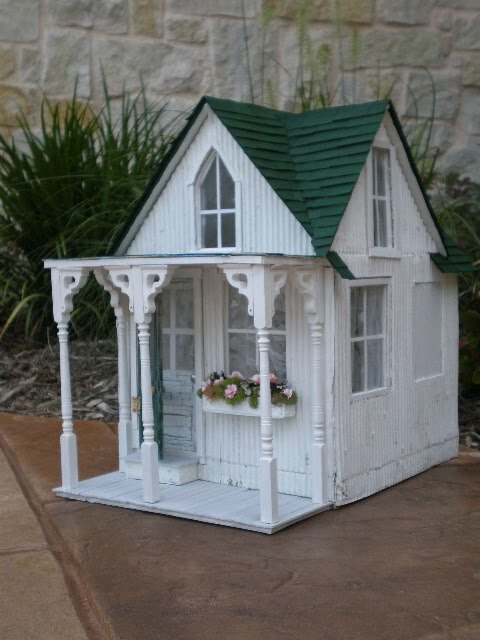 This type of house is about 20" tall x 13" across x 13" deep. 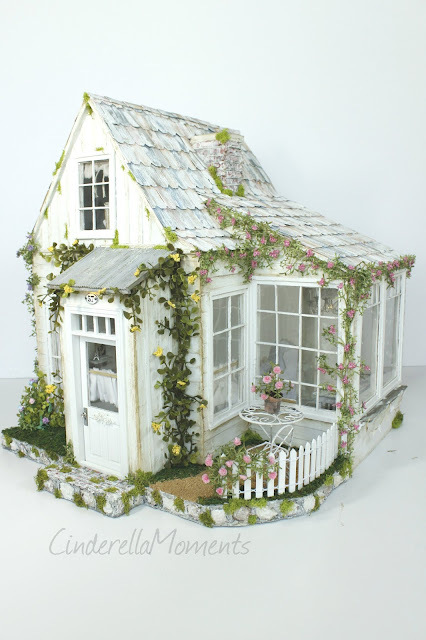 It will have 2 chandeliers, a porch light, a ladder. Contact me to make any changes and pricing on changes. 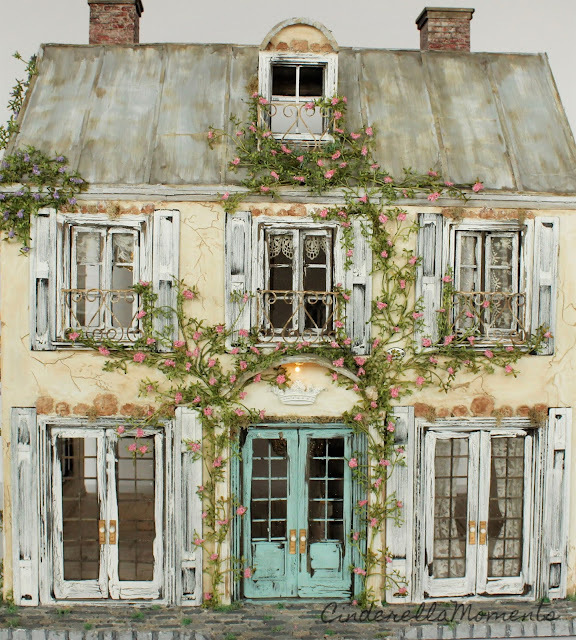 "Shabby Chic House" http://www.cinderellamoments.com/2013/05/the-new-york-times-article-on-shabby.html is $899 + $70 shipping. 2 weeks to build.